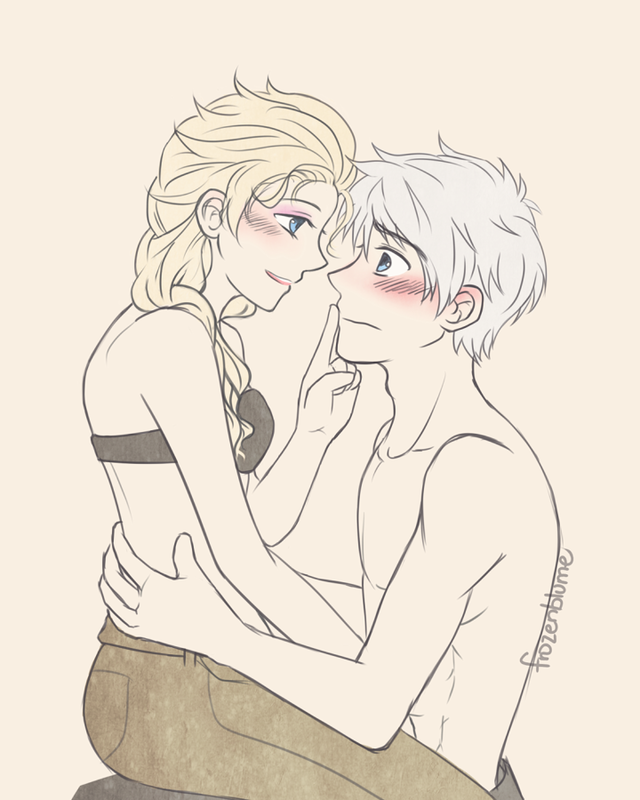 Jelsa . The artist said that Elsa was drunk (courtesy of Anna) and is now saying very embarrassing things to Jack. . HD Wallpaper and background images in the Elsa & Jack Frost club tagged: photo jack frost elsa jelsa jackelsa rise of the guardians dreamworks disney frozen. 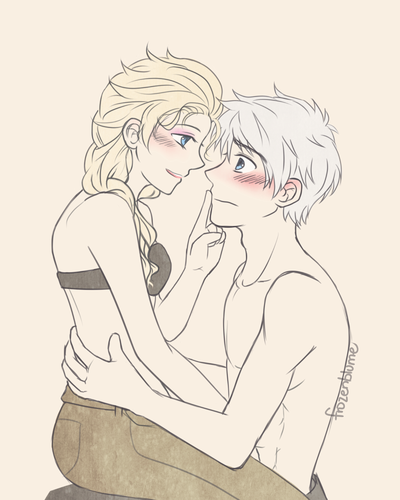 This Elsa & Jack Frost photo contains anime, comic book, manga, and cartoon.